There are numerous types of aircraft in the world today, ranging from light sport aircraft to double-decker passenger planes. The price tag on an airplane depends on the type of aircraft and how old it is, among other things. There are numerous types of aircraft in the world today, ranging from light sport aircraft to double-decker passenger planes...and costing from a few thousand dollars to billions of dollars. The price tag on an airplane depends on the type of aircraft, how old it is, how well it's been maintained, the engine type, the avionics package, among other things. These variables are what makes it possible for the same type of aircraft to have a wide range of price tags across the globe. Here are some examples of what certain types of airplanes cost. The Piper J-3 Cub is a timeless aircraft. Built in the 1930s and 40s, it’s a simple tailwheel airplane with front and back seating for two, and remains one of the most loved airplanes among pilots today. It’s said that during World War II, the Piper Cub was produced at a rate of one every twenty minutes, and it also happened to be affordable. It became a popular personal aircraft for post-war pilots, and it is still a popular and affordable option today. With a fuel burn of about five gallons per hour and low insurance costs, the Piper Cub is a great toy aircraft for the enthusiast. It’ll cost you anywhere from $20,000 to $75,000. 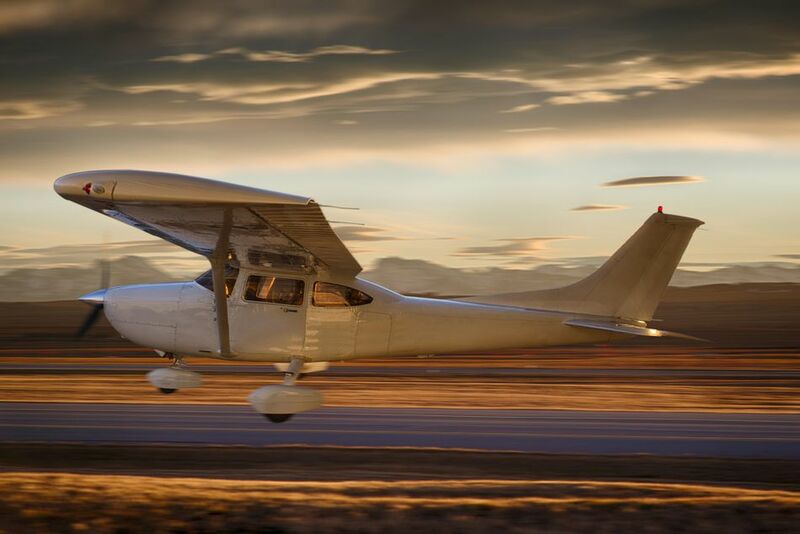 Heralded as the most popular training aircraft in the world, the Cessna 172 is also a popular option for general aviation pilots looking to buy a personal airplane. It’s easy to fly, stable and, for many pilots, comfortable. Since many pilots accrue multiple hours in a 172 during training, they know the aircraft inside and out before purchasing it. The 172 seats four people and cruises at about 120 knots. A 1962 Cessna 172 might cost you only $33,000, but a brand new off-the-line 2014 Cessna 172SP with advanced avionics will run upwards of $400,000. One of the most popular twin-engine aircraft is the Beech Baron 58. The Baron's interior can be fitted for up to six passengers. Factory aircraft come with two 300-horsepower engines that can cruise at about 200 knots at a range of 1700 nautical miles. The Beechcraft Baron 58 has a vast range of price points like many aircraft that have been around a while. An older model with outdated avionics might run less than $200,000 while a factory-fresh model with all the newest gadgets costs about $1.4 million. The Pilatus PC-12, a fairly new-to-market single-engine turboprop, has quickly claimed its place in multiple markets as a safe, reliable aircraft. But it'll cost you: A 1996 Pilatus PC-12 costs about $2 million, while a new one will run about $4.5 million. With a max cruise speed of 375 knots and a range of 1125 nautical miles, the Eclipse 550 claims to be the most efficient twin-engine jet in its class. It's a small but technologically-advanced business jet designed for single pilot operations, bringing the light jet market to the average pilot businessman. The Eclipse 550 sells for a base price of about $3 million. Newly designed as the Lear 75, the Lear 45 can be purchased on the used market for between $2-3 million. The new Lear 75, built with updated avionics and improved performance, will cost you about $13 million. This mid-size business jet can usually accommodate up to 8 passengers while cruising at .75 Mach and a range of about 2,000 nautical miles. If $20-$40 million is more your style, there are a number of mid-size business jets to choose from. The Embraer Legacy 650 is a super mid-size business aircraft that carry up to 13 passengers and has a max range of almost 4,000 nautical miles. You can buy a used Legacy 650 that's just a few years old for about $20 million, and you'd pay about $30 million for a brand new one. Jackie Chan bought one. Why not you? As business jets go, the Gulfstream G650 is as good as it gets. Sixty-five million dollars gets you a jet that flies at Mach 0.925 carrying up to 18 passengers in one of 12 different floor plans. As the largest and one of the fastest business aircraft to date, it's the ultimate in luxury. The price tag on a G650 is a whopping $65 million. If the Gulfstream G650 isn't quite big enough, there's always the BBJ. The Boeing Business Jet is a 737 modified for private air travel, and most include private bathrooms, conference rooms, kitchens and seating for 25-50 passengers. For $20-35 million, one of these could be yours. But you'll probably pay more like $60-85 million for a newer version of the 737 that suits your needs, or almost half a billion dollars for the 747 Intercontinental version.